In Spike Jonze’s Her, Joaquin Phoenix’s high-waisted-pants-wearing Theodore Twombly falls madly in love with his computer operating system. Considering said operating system is voiced by Scarlett Johansson, that’s a pretty understandable decision. But what if the O.S. didn’t sound quite as appealing? What if it were voiced by, say, Dr. Steve Brule? 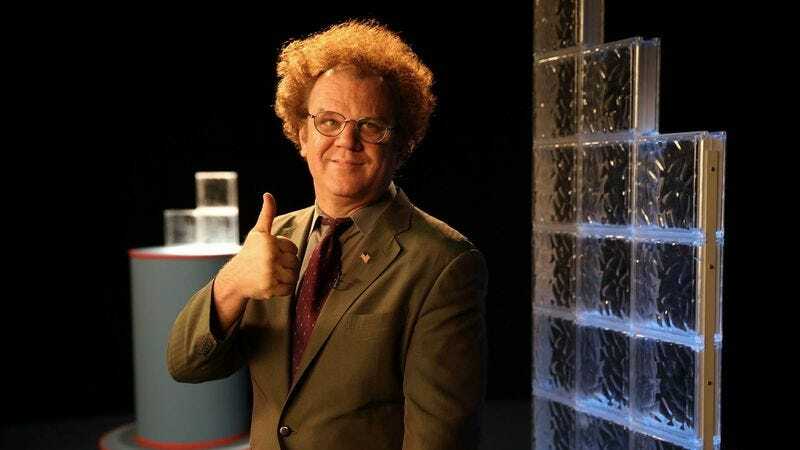 That’s exactly what YouTube user Paul T. Brooks decided to find out by recutting the Her trailer with clips of John C. Reilly’s lovably naïve Adult Swim character from Check It Out! With Dr. Steve Brule. The results are a little sweet, a little weird, and perfect for dinguses everywhere. Incidentally, this is also doubles as an ideal appetizer for Steve Brule’s upcoming fourth season, which is set to debut sometime this year.